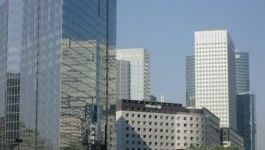 (CercleFinance.com) - In a sector report, Barclays has downgraded its rating on virtually all French telecom operators. This is particularly the case for Orange, the former France Telecom. Having previously had a buy rating ("overweight") on the stock, analysts have downgraded their rating to "weight in line" (neutral), having cut their corresponding target price for the share from 18.5 euros to 16.5 euros. Barclays believes that in France, the year 2018 was marked by an irrational level of promotional offers. Thus, the prices of some fixed and mobile offers are still 20% to 40% lower than they were a year earlier, analysts lament. Although the competitive environment has been less negative since the 3rd quarter, the discipline of the four operators is considered "uncertain", all of which have "ambitious" growth targets that may be realised thanks to special offers. In addition, while a concentration in the sector could be "the best solution," Barclays considers this assumption unlikely in the near term. In short, despite its relative quality, the Orange share has deteriorated: although the group has resisted up until now, 2019 could be more difficult, Barclays believes.